Ice – A Dad trying to cope with the loss of his Partner and becoming a single parent. Son got his ice cream today. I got myself a slush puppy. The weather was that cold that the slushy never melted – 2 hours later it was still good to go. When I took my coat and gloves off I was like an ice cube. On the drive back I had the heater on full blast. Still cold. Needed the hottest of hot baths. Have you ever been that cold that when you get into a steaming hot bath – you’re body is that frozen that within a couple of minutes the bath is only lukewarm. Son was fine he stayed in the warm car watching downloaded movies. Can you work out what film he made me watch tonight … Ice Age. I so do. With cake, not soya choc and plenty of smiles. That’s me. I keep telling myself it’s Spring…..
That’s funny. They do live in a different reality. I suspect theirs is better. Good for you! My dad was like you. He was from California and he just enjoyed them like a carnival ride! Yes! I hadn’t thought of the analogy before, but a carnival ride describes it to a tee. We might get more as the government are keen for an area 20 miles away to start commercial fracking. It’s strange it hits our news when we the occasional mag 3 arrives. It is a fun movie though! – there’s still II, III and IV to go. … that has had two fingers of a fine single malt poured over it…. … preferably while in a glass tumbler. 4 years ago no ice but a straight Glenmorangie would be the answer. It feels like a two jumper day – pink socks optional. Good for you. Keep it quiet but I have two pairs as well. Yes. If it gets stronger I might still be attached to them. Lol Gary. I will watch out for you. We will haul you down and have a cup of strong Yorkshire tea ready. Kids are more resilient. 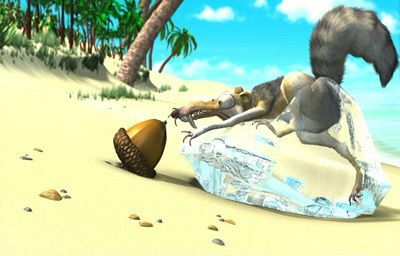 Did you enjoy ice age? It’s one of my favorites. It’s so funny. I love Sid. Oh my gosh – I bet you were frozen. That is my go to move too when I am chilled to the bone. A hot bath. I think it is crazy too how lukewarm the water gets. Declan is the same way with the temps – he doesn’t really feel pain either. I always associated that with his senses being so different. It is in the sixties where we are, but still chilly and didn’t he decide to go in the ocean yesterday. I had to practically drag him out – he was fine spending the whole day in the frigid water. And I am sure he is going to try and get back in it today and it is even cooler out. I bet he loved it. Somebody went swimming yesterday and they came out virtually blue with the shakes. I bet your enjoying the trips as well. 1, 2, 3 or 4? Hope you had a good day though. Starting to feel my fingers again. Awe, ha haha. I know how this goes! One can never get comfy in the summer, you know? Blech! Maybe we should team up as a rebooted Statler and Waldorf. I can do the grumpy stuff. It’s a winner.